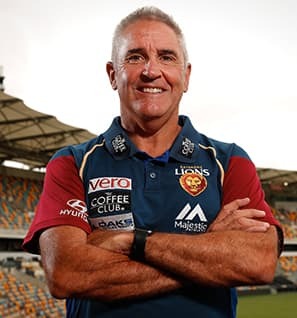 Chris Fagan was appointed Senior Coach of the Brisbane Lions in October 2016. Fagan joined the Club after almost a decade as Hawthorn's Head of Coaching and Development during a highly successful period for the Hawks. The 55-year-old also spent a decade at Melbourne Football Club as General Manager of Football Operations, Assistant Coach and Reserves Coach. A qualified teacher, Fagan was a standout during the process to select the new Senior Coach, which saw a number of high-quality candidates interviewed for the role.